May Day is Lei Day in Hawaii, and it’s all about celebrating Hawaiian culture. I love it! Everywhere you go people are wearing fresh flower leis and it is such a fun celebration! We weren’t able to get downtown to see the festivities but we will for sure get there next year! One of the traditions is to elect a royal court with a King and Queen and princes and princesses. We didn’t go see them but we have our own royalty in the house, Omar was elected to Kindergarten prince which is quite the accomplishment! The school is having their big May Day event later in the month and we will get to watch all of the grades dance a hula and the royal court will be dancing their own hula as well! I can’t wait! 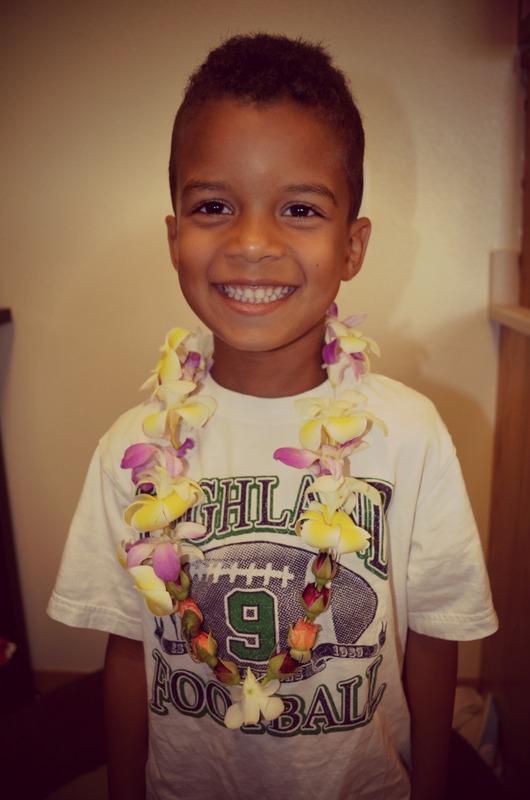 But to celebrate lei day, the kids got to make some fresh flower leis themselves. Gotta love it! 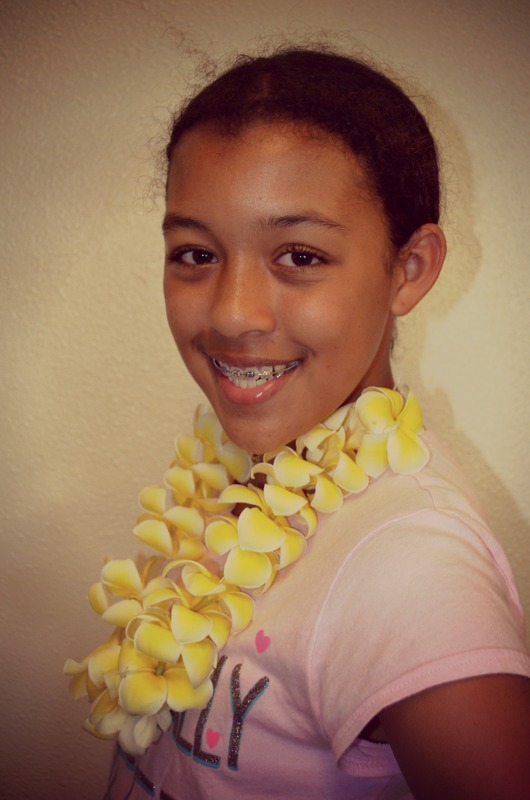 The plumeria are everywhere around here and Mckenna wants to start making them more often!